Introduce your event like the master of ceremonies when you use the Red Tent Invitation! 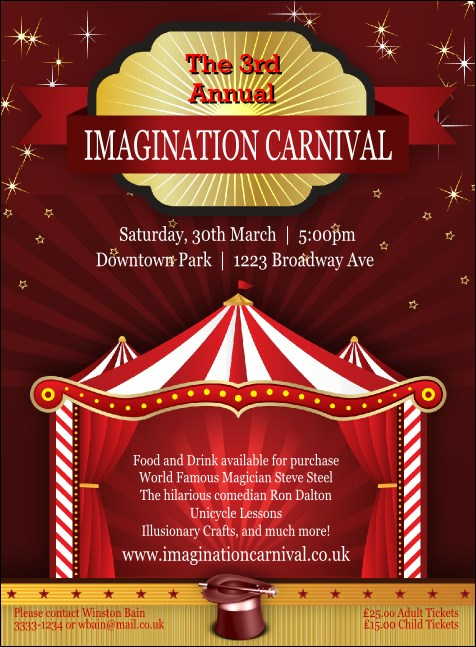 The elegantly embellished template is perfect for occasions like fairs, showcases and carnivals. Fifteen easy-to-edit lines await all the exciting details of your well-planned gathering. Raise awareness with the right invitation from UK Ticket Printing.